I acknowledge that I can be a bit of a book snob, but I have enjoyed books from many different genres and I have eclectic tastes. So, it is hard for me to select only one nursery rhyme to reflect my development as a reader. 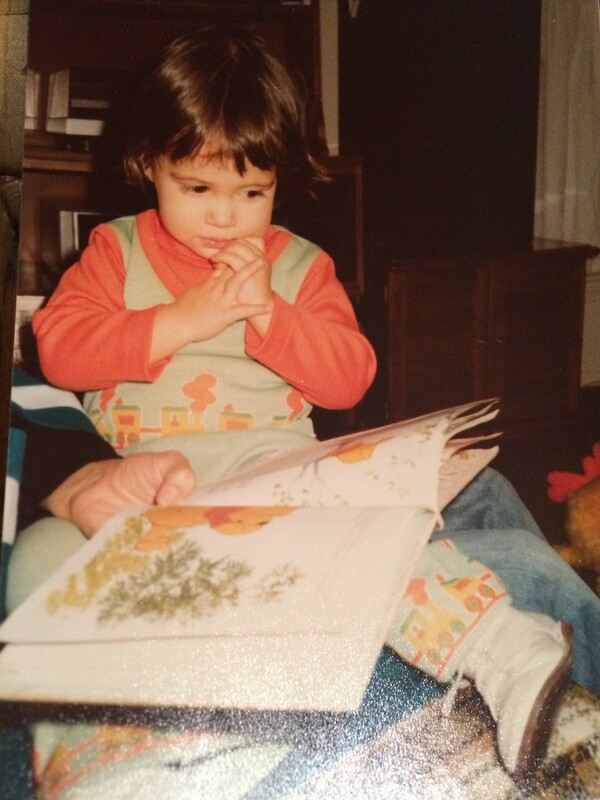 I also have to admit that Book Worm has a much better memory than I do because the truth of the matter is I can’t think of only one nursery rhyme that stood out to me above others. I am an only child and I lived in England until age 12, in a neighborhood with very few children my own age. So, stories, books, literature were like welcome companions. It sounds kind of sad, but it wasn’t. I had lots of friends at school and while I was always on the shy side, I connected well with others. But, I had lots of time by myself and books helped me fill that time. Books opened up new worlds for me. I wanted to be a detective thanks to Nancy Drew and Sherlock Holmes. I turned my house into pirate ships, castles, and magic lands, dressed my cats up in dolls clothes to reenact stories, and even had the creepy woods at the back of our garden filled with vampires and other monsters. How does all this relate to the kind of reader I am today? If I think about some of the common threads across books that I enjoy today, I still love books that transport me to new places, times, & magical worlds. I read mainly literary fiction but I like quirky books, books with rich descriptions of places and times I haven’t experienced, and books that take me outside my immediate experience. And because I spent a lot of time with books as a child, I want to read books about relatable characters. They can be flawed, and should be complex, but they have to feel relatable in at least some small way. So my pick for nursery rhyme (and some of you will argue that it is a poem not a nursery rhyme) is one that I loved as a child and one that I rediscovered with my own child just recently. It also might explain my current love of Murakami’s books with their odd feline appearances. They sailed away, for a year and a day, To the land where the bong-tree grows; And there in a wood a Piggy-wig stood, With a ring at the end of his nose, His nose, His nose, With a ring at the end of his nose. “Dear Pig, are you willing to sell for one shilling Your ring?” Said the Piggy, “I will.” So they took it away, and were married next day by the turkey who lives on the hill. 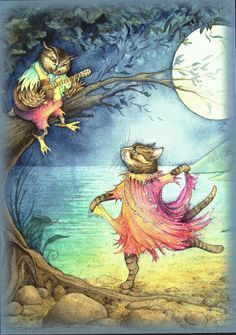 They dined on mince and slices of quince, Which they ate with a runcible spoon; And hand in hand, on the edge of the sand, They danced by the light of the moon, The moon, The moon, They danced by the light of the moon. So now that Book Worm and I have both shared our favorite (or most influential) nursery rhyme, now it’s your turn? Do you have a favorite or one that is meaningful to you?